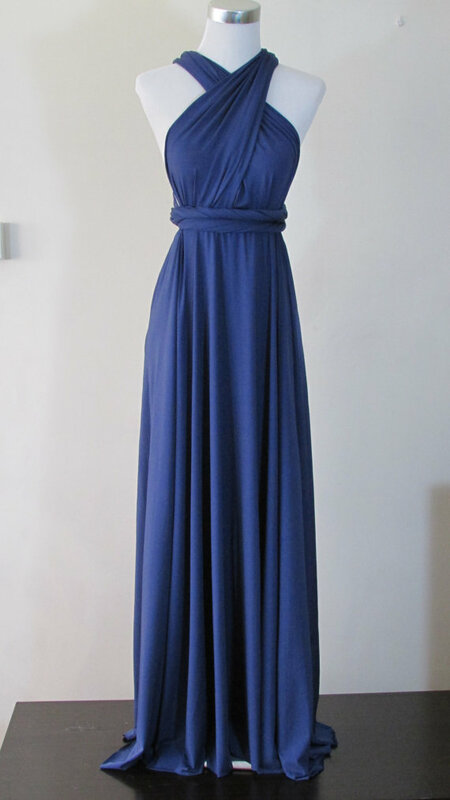 Long maxi gowns look elegant and sophisticated, well-suited for any special occasion. The yellowish-orange shade present in the champagne color gives it a soothing appeal. A long, champagne, sleeveless, maxi style flowing outfit would be a perfect choice for a formal evening party. Keep a no-make-up look to add charm and elegance to your getup. You might even go for variations like a champagne maxi dress with shades of taupe, beige, cream or tan. While pondering on the color choice for your bridesmaids’ outfits you may take into consideration off-the-shoulder champagne gowns coupled with a sober neckpiece and danglers.